Country music singer/songwriter Brett Eldredge hit a CMA Triple Play last year. He picked up the award after he penned three chart-toppers—“Mean to Me,” “Lose My Mind,” and “Drunk On Your Love”—in a 12-month period. Impressively, the Illinois native has a total of six number one hits including his three previous top tunes—“Wanna Be That Song,” “Don’t Ya,” and “Beat of the Music,” the 2015 BMI Country Song of the Year. In addition, Eldredge’s first two albums—Bring You Back and Illinois—have been certified gold for 500,000 units shipped. 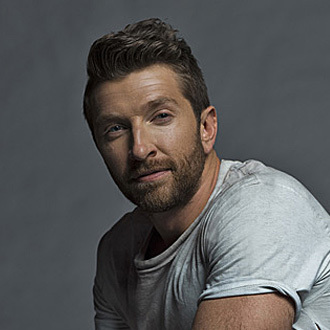 We are pleased to do this new Q&A interview with Brett Eldredge. He talks about how he actually backed into songwriting, about playing on the road with Blake Shelton, and he tells the story behind one his major hits. BC: You’ve co-written almost every song on your albums except for your Christmas album. Do you like to be fully involved in the songwriting process? Brett Eldredge: I still listen to other songs from other writers. I’m never going to shut down the idea of recording other people’s songs. It’s easier for me to feel more passionate about getting up on stage and telling that story because you’ve either lived part of that story or you’ve seen it before or you’ve created it from a place of either heartbrokenness or love or some other area you’ve experienced. When you write a song, you’re giving a part of you. I guess the main reason I’ve written songs is because I love to feel the emotion of giving every part of me on my record, but also taking those songs and performing them live. That’s what I live for. BC: What strengths do you bring to the table as a songwriter? Eldredge: I moved to Nashville to be a singer. In the beginning, I didn’t know anything about songwriting. I kind of just threw myself into it. I found that I had a knack for it after writing a bunch of terrible songs that eventually got better and better and collaborating with anybody that would join me. I was only the melody guy at first, and then I started to really figure out how I related to lyrics. So, I’m kind of both now. I’m also very—I don’t if you’d call it ADD—but I jump around from ideas to ideas a lot when I write stuff. A lot of my collaborators would start thinking I’m crazy. A lot of the times they have to reel me in. I keep shooting out melodies and lyrics. We might not jump on the first tune, but I think we eventually end up on that certain right one. I have a willingness to get out there and try a lot of different things. I have someone to reel me in and get to that right one, and I think we all usually feel in our gut which one is the one to chase. With songwriting, you get to places in your mind and start to think the most random crazy things, and everybody’s trying to flesh them out once you start talking about life. A lot of those times when you start talking about things that have happened to do with the song, you end up getting ideas or thoughts that bring you back to the song or to another song. It’s a fun, discovery process of bringing out the real you as a creator and as a person. BC: I like your hit song, “Mean to Me” (co-written by Scooter Carusoe). Can you tell the story behind it? Eldredge: We got together and we just pieced together the simple things in life that are beautiful pertaining to love, and if I could be like those things are to you, then I’d be what you mean to me. It’s a powerful sentiment of a love song. Scooter really dives into the lyrics. He likes for it to marinate some. We wrote it over several sessions. We became close friends…he’s really good for my patience. Some days I may write a song in two hours, but I know with Scooter I’m willing to stick around for several writing sessions to really make that song what it deserves to be. “Mean to Me” is still a song that people are dancing to. They’re writing every week saying it’s the song that they met on or fell in love to. BC: Currently, you’re on tour with Blake Shelton. How the tour been going? Eldredge: I’m out with Blake Shelton right now on the second weekend of our tour. Blake is such an incredible person…he’s a great guy. I opened one of my first major shows for him at the Ryman Auditorium when he first came out in a big way. He was so cool to me back then, in 2007 probably. I get to actually hang out with him and play basketball and hang backstage. Then, I get on stage and sing with him. It’s cool to have that camaraderie with another artist. Blake is a superstar now, but he’s a more real guy than any guy you’ll meet. Every night on tour, I get to watch him sing a million hit songs. He doesn’t have to play one album cut—he’s got so many hits. BC: You’ll also be headlining your own tour for the first time this year. Are you excited? Eldredge: I’ve been fortunate to be on some really good tours. Now, I get to go out on my own tour and tell the stories and play some songs that I know people love from the album that may not be a single or hit on the radio. I’m taking my time and let it be a show that that I feel like no one’s seen. We get to set the roadmap of how we want it to go, and that really excites me. It’s going to be really relaxed and fun. We’ll give it everything we’ve got.